Kenny Omega and the Young Bucks were recently a part of a panel at the Chicago Comic & Entertainment Expo (C2E2). There they talked about the upcoming PPV Double Or Nothing, on May 25, 2019. An exciting new match stipulation was added. The Bucks also talked about producing the event. 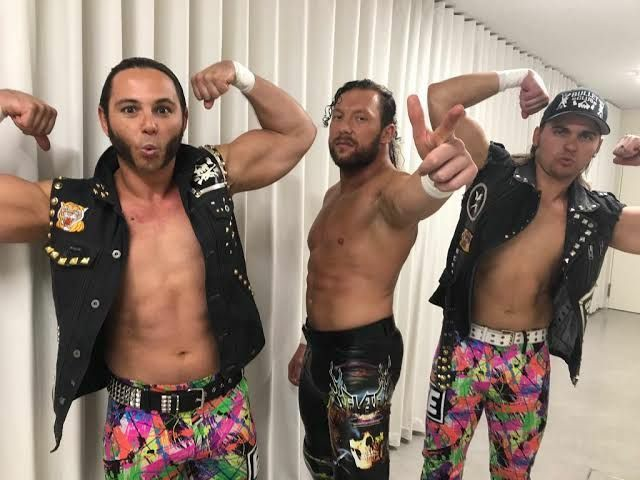 Alongside WWE alumnus Cody Rhodes, Kenny Omega and the Young Bucks set up a wrestling promotion, named All Elite Wrestling, abbreviated to AEW. The promotion quickly gained traction as former WWE Superstar Chris Jericho jumped ship. Soon rumors were rampant about disgruntled WWE superstars looking to make the switch over to the indy upstart. The promotion has slowly gained momentum, and it's PPV Double Or Nothing has generated some serious buzz. The entire pro wrestling fraternity is keeping a close eye on the promotion as it gears towards its first step as a legitimate company. Earlier this month, the Young Bucks had invaded AAA Rey de Reyes. There they faced the team of Pentagon Jr. and Fenix and defeated them to win THE AAA World Tag Team Championship. They announced today that those titles would be on the line at Double Or Nothing. "You should see the production we have going into this event. I've seen the mock-up for the set, we are sparing no expense, ladies and gentlemen, it's going to be incredible." “ We have a sense of humor, we think life is funny and wrestling is silly. We also like to think storylines should make sense and there should be continuity. One thing about our show is it's going to be different in that way, we're not going to treat this like a rasslin' show, we're going to treat this like a show you'd watch on Netflix, or HBO, or Showtime, something that you could genuinely be entertained by. Something that not just wrestling fans could watch, but anybody can watch and enjoy." Double Or Nothing takes place on May 25 at the MGM Grand Garden Arena in Las Vegas. The tickets have already been sold at a record time, and it seems like it will be a successful show. Here's hoping the best for all the parties involved.